Geneva is the second largest city in Switzerland and is host to more international organisations than any other city in the world including the UN and the Red Cross. 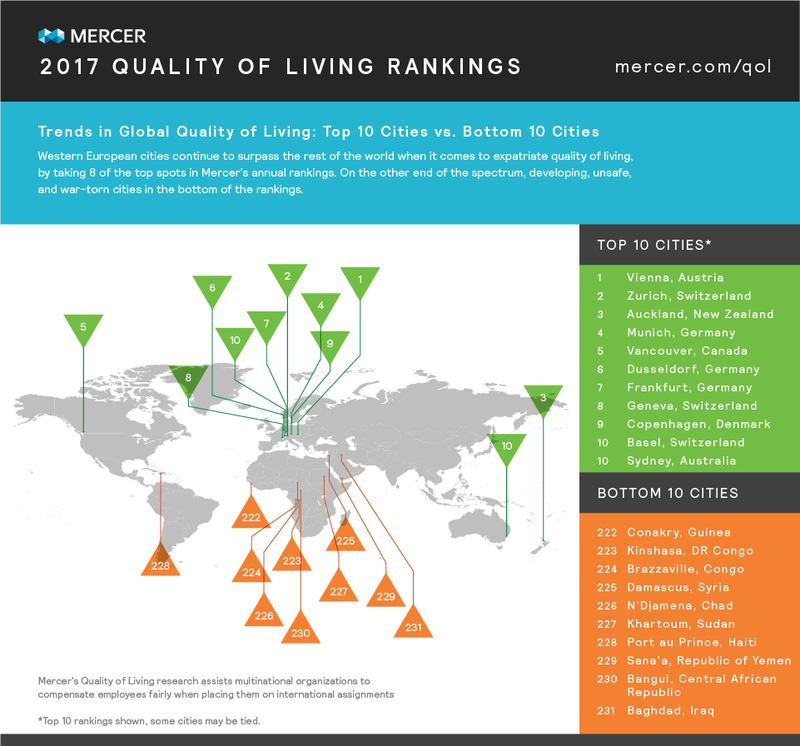 Geneva is consistently high on the annual Mercer Quality of Life Index and is known internationally as the “Peace Capital”. Though it is one of the most expensive cities in the world, Geneva is also one of the most beautiful. Surrounded by the Jura mountain range and located on the banks of the stunning Lake Geneva, this city offers stunning views and a year round outdoor lifestyle. Here are some of our fast facts for those who are planning on moving to Geneva. Famous For: Lake Geneva. This beautiful lake is one of the largest in Western Europe and is shared between Switzerland and France. The lake and the beautiful villages surrounding it have become celebrated not only for their scenery but also their notable residents including; Charlie Chaplin, Audrey Hepburn, Phil Collins and David Bowie. Mary Shelley even based Frankenstein here after a holiday there. Best areas to live: If money is no object then Central Geneva is the place to be, with beautiful historic architecture and access to a huge range of fantastic bars, cafes and restaurants. If you are looking for something more cosmopolitan and vibrant head to Pâquis for a real international neighbourhood. For a more family friendly vibe check out Grottes or Saint-Gervais for great access to international schools. Another more cost friendly option for families is the Chênes-Bougeries. Cost of Living: Living costs are always the first thing to bear in mind before relocating. In Geneva monthly rent for a 3 bedroom flat in the city centre is about £2,786, a litre of petrol is £1.19 while the cost of dinner out for two people would set you back approximately £75. A beer would cost about £5, a monthly train ticket is £53 and a month’s utility bill is on average £137. For more information on moving to Geneva get in touch with your local Clockwork team today on 0800 195 8671.